and round parts with different diameters by controlling the press-down sizes of the driven roller. The machine has large processing ability, and can be used extensively and laborsaving. dia.36mm, dia.50mm, dia.63mm, and dia.76mm. 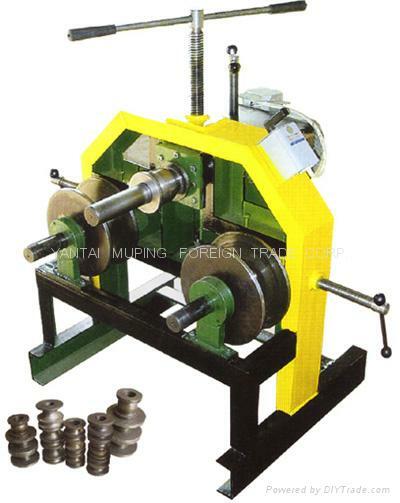 1.Having good applicability, the shaft space length of the driving wheels of the machine is adjustable. stainless steel tube and flat iron. material having small section deformation. 4.The machine is made with large processing strength and extensive material processing specification.